We use investor sentiment on the market direction as contrarian indicators since investors usually are wrong. 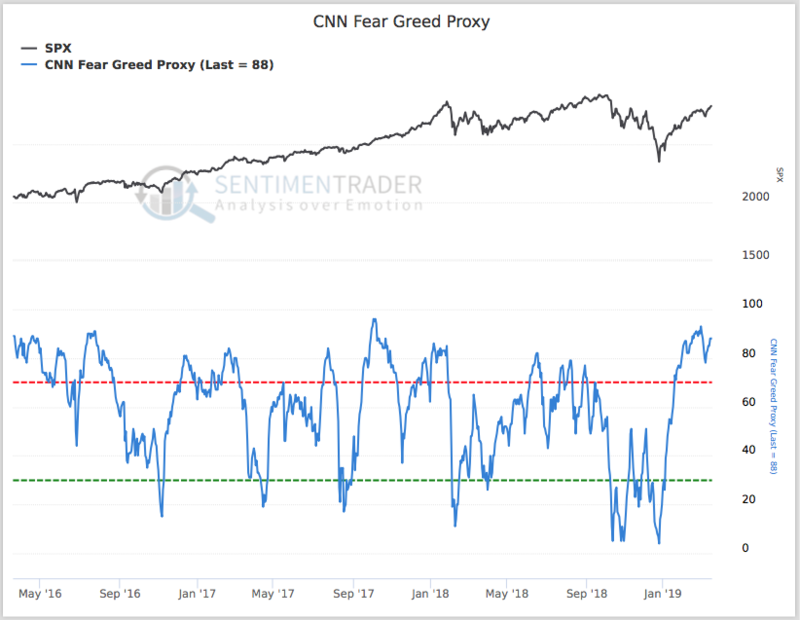 The indicators this past week and in recent weeks show sentiment remains complacent, which tells us that investors should be cautious. Sentiment also remains cautious for the intermediate term. 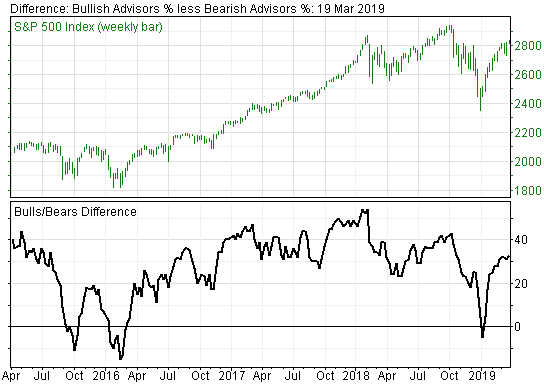 The Investors Intelligence Bulls/Bears poll of newsletter writers, who are usually wrong about market direction, is at 54% bullish and 20% bearish. That’s a positive spread of 34%, which indicates investors should remain on the defensive. A positive spread of 40%, which occurred last fall, is extremely bearish in terms of where the market is headed. Meanwhile, the KRE ETF, a proxy for the major bank stocks, indicates bank stocks have been trading down in heavy volume, which also is a sign that investors should remain cautious. Moreover, as shown in LMTR’s chart of the week earlier this month, stock analysts have been downgrading 2019 corporate earnings. That’s yet another indication that the market ahead could be highly volatile.